Feb 7, 2019 - CHICAGO, ILL. The 2019 Acura ILX has earned the top spot in Kelley Blue Book’s 5-Year Cost to Own rankings for the entry-level luxury car category. The 5-Year Cost to Own Awards recognize new vehicles and brands (luxury and non-luxury) with the lowest projected ownership costs, based on Kelley Blue Book's 5-Year Cost to Own data for new cars during the initial five-year ownership period. This is the second consecutive year the ILX has received this award. 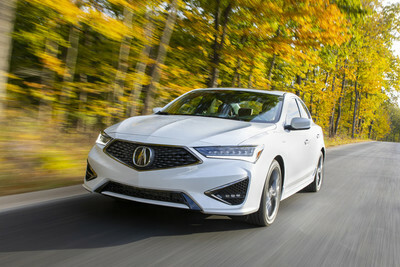 The Acura ILX earned high scores in the awards' key factors, including depreciation, expected fuel costs, finance and insurance fees, maintenance and repair costs, as well as state fees for all new models. Kelley Blue Book's 5-Year Cost to Own Awards are designed to help in-market shoppers make more informed new-car buying decisions by breaking down typical ownership cost details and naming the brands and models with the lowest projected five-year total. Significantly refreshed for 2019, the ILX features aggressive new styling that lends Acura's gateway sedan a notably sportier and more sophisticated look, highlighted by the brand's signature Diamond Pentagon grille. In addition to all-new front and rear design, the 2019 ILX receives significant technology upgrades and premium cabin appointments, along with an updated A-Spec sport appearance variant, and newly standard AcuraWatch™ technology. The redesigned 2019 ILX, available with Premium, Technology and A-Spec packages, carries a Manufacturer's Suggested Retail Price (MSRP1) starting at $25,900 (excluding $995 destination and handling), a $2,200 reduction from the outgoing model.